Anders Nissen is a sportsman and competitive by nature, which might explain why he is also considered by hotel management companies to be one demanding owner who prefers his operators participate via lease – when productivity and profitability don’t take a back seat to brand marketing and fee collection. Nissen is CEO of Stockholm-based Pandox, owners of 120 hotels (98 leased, 22 owner-operated) with more than 26,000 rooms in 10 countries and a value of approximately US$4 billion, and is legendary for espousing similar combative opinions on stage in front of 2,000 contemporaries at events such as Berlin’s annual investment conference – with his brand partner CEOs squirming in their seats next to him. With more than 30 years of industry experience, including years as a hotel GM, and CEO since Pandox’s inception, Nissen can walk the talk with a knack for turning underperforming hotels into profitable ones. Pandox started out in 1995 with a disparate collection of 17 bankrupt hotels. Since then, the company has profited and executed transactions worth more than €2.5 billion (US$2.7 biilion), corresponding to some 200 properties. His latest venture was the creation of a separate operating company, which he views as a necessary response to the change in the risk profile between owners and operators. Pandox recently took over four hotels in Norway and Sweden, and has entered into agreements to take over a further two. Belgium is the largest country for the group operationally, with 1,936 rooms. Despite his discourse, Nissen is not averse to brands because he understands the muscle they bring, but he wishes he had more relationships based on Europe’s popular lease model and similar to the one he has with one of his local and biggest partners, Scandic Hotels. No long-term business relationship is without challenges, admits Scandic’s outgoing CEO Frank Fiskers, but over their many years of cooperation, Scandic and Pandox have found a strong model that incentivizes each party to continually improve the competitiveness and cash flows of their joint hotels. Nissen believes the bigger global brands have lost their way as operators, which is why he mostly prefers the lease model, where managers are more accountable to the bottom line. “When I, as an owner, give a management contract to someone who doesn’t understand what they should do with the operation, I mean, it couldn’t be worse. Their fee-based model doesn’t incentivize them to operate things efficiently,” he says. When asked if the big brands might change their approaches, especially as the hotel business continues to mature, Nissen opines that just maybe they are realizing they have gone too far with the asset-light model and need a better mix of deals that take into account lease arrangements, or at least offer some more guarantees. 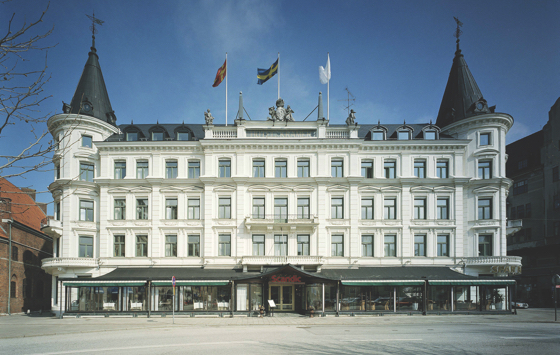 Until those strategies do evolve, however, Nissen continues to do business with the likes of Scandic, which whom Pandox recently renewed and extended 19 leases. The new agreement, which happened not long after the two companies finished upgrading 30 other hotels, will see a US$56 million renovation plan split between the two organizations. Included in the investment, expected to be made between 2017 and 2020, is the creation of 73 new hotel rooms. The leading owner of hotels in Northern Europe, Pandox (which means innkeeper in Greek) continues to be as aggressive at its leader, who sees big growth opportunities ahead. It is further expanding outside the Nordics, having made several deals in Germany as of late to further diversify its revenue base. 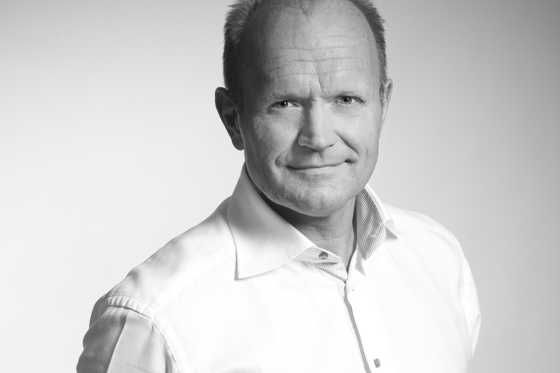 To help manage planned growth, Pandox in December raised SEK1.01 billion (US$112 million) by issuing 7.5 million B shares, which Nissen says the market accepted very well. “We have done acquisitions for $1 billion without going out to the market. So that was the time to do it for financial flexibility,” he says. Currently, Germany stands for 21% of Pandox’s value or revenue. Nissen says he would love to continue to grow that proportion – both relatively and absolutely. In November, the company acquired seven hotels from Invesco Real Estate for €415 million (US$441 million) – four in Germany, two in Austria and one in the Netherlands. The properties are operated by NH Hotels, Rezidor Hotel Group and Grand City Hotels under long-term, revenue-based leases with good rental guarantee levels. The portfolio has a yield of approximately 5.7%. In December 2015, Pandox made one of its first forays into Germany with a €400 million (US$432 million) purchase from Leopard Group and Israel-based Fattal Hotels. It included another 18 mid-market German hotels with 3,415 in stable markets like Frankfurt, Dusseldorf and Hamburg, as well as domestic markets with upside such as Karlesruhe, Monchengladbach and Hannover. As part of the deal, Fattal has 25-year lease agreements to continue operating the properties under its Leonardo brand. Nissen says he expects to do more deals for Leonardo-branded hotels. “The company would like to expand their brand in Germany. We like their model,” he says. Most recently in October, Pandox made what Nissen called a sound investment with good potential by acquiring the 224-room Hilton Brussels Grand Place in Belgium for €55 million (US$59 million). The hotel is being operated under a management contract with Hilton, but that can be converted to a franchise agreement in 2019. Acquired after the March 2016 terrorist attack in Brussels, Nissen says assets like these are not often available, so it was a “no brainer” for Pandox to consider. He says performance rebounded quickly (the hotel had its best month ever in November) and that Pandox will implement its efficiencies to better control costs and increase productivity. “The most important driver for value growth in a hotel property is productivity. It’s more important than macro; it’s more important than average rate,” Nissen says. Boasting that productivity improvements (like culling the management team of a Sheraton in Copenhagen from 36 to nine) have taken Pandox assets to 40% GOP from 20%, Nissen says the key ingredient is the property management team. Looking ahead, Nissen says Pandox will continue to buy in Scandinavia and the Netherlands, and would like to enter the U.K. and Spain but remain Euro-focused. He likes Spain because it is rebounding economically and because even more tourists are coming there due to unrest in traditional Middle East destinations. 1. Focus on hotel properties with attractive risk-adjusted returns. The company invests exclusively in hotel properties and has consequently developed significant experience to identify, acquire and reposition properties within this asset class over the past 20 years. 2. Pandox favors long-term and revenue-based leases, which provide revenue visibility, income stability, lower capital expenditure and reduced risk. These leases, combined with an active ownership strategy adopted on an asset-by-asset basis, create value and opportunities across the hotel value chain. 3. Focusing only on hotel properties as a single type of asset requires a broad geographical footprint to create the right conditions for growth and to benefit from positive dynamics in the macroeconomic conditions and the hotel business cycle. On aggregate, Pandox owns hotels across 50 cities in eight countries. 4. To create more opportunities and simultaneously reduce risk, Pandox is dedicated to large, full-service hotels in key leisure and corporate locations primarily in the upper-medium to high-end segments. It believes that typically larger hotels deliver stronger cash flows and historically have been easier to finance. 5. Pandox targets investments in underperforming hotel properties in strategic locations, which can be refurbished, restructured, and/or repositioned and where the company’s active ownership strategy and expertise can be leveraged. 6. Pandox seeks brands and partners that strengthen the profile, market position and operations of each individual hotel. Pandox currently collaborates with 10 hotel chains, making use of 18 different brands. In addition, Pandox has established and developed independent hotels.